This is a non-registered cultivar originated by Kenji Watanabe, of Gotemba Nursery in Japan. 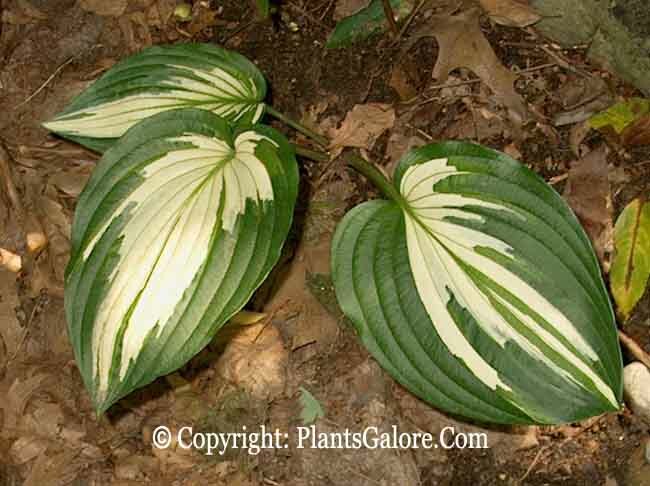 It forms a medium size (12 inches high) mound of white centered, dark green margined foliage. Pale purple flowers appear from late June into July. 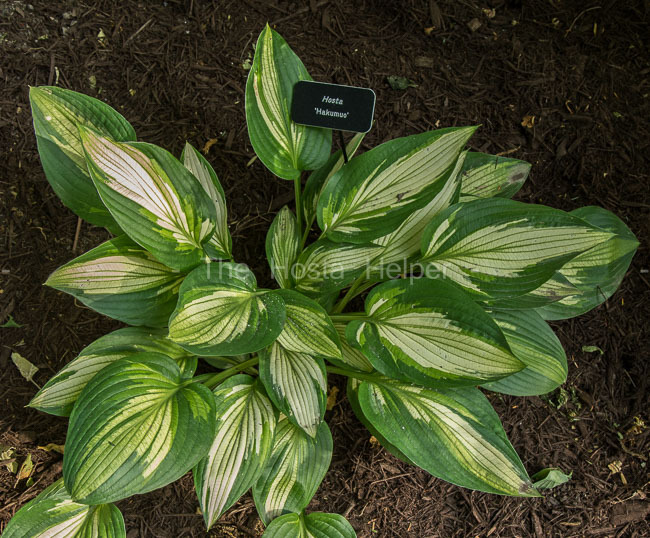 According to The Hostapedia by Mark Zilis (2009), "This Japanese cultivar is nothing short of spectacular. 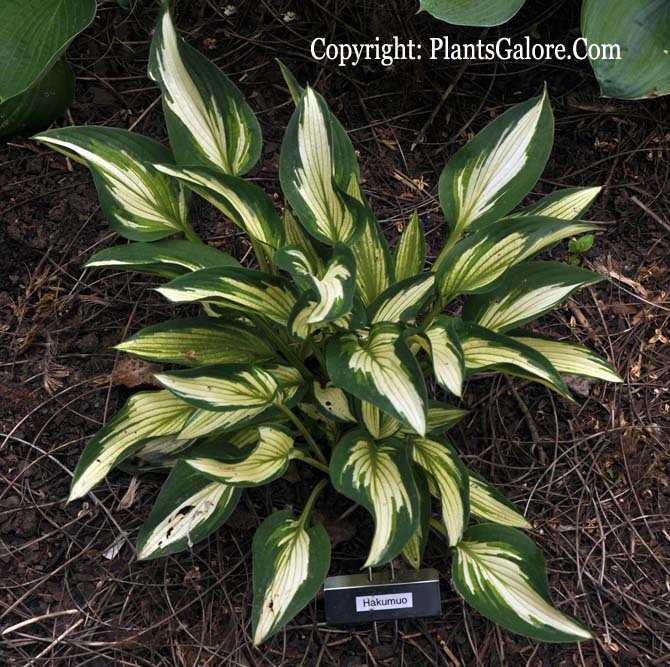 The sharply contrasting foliage colors, excellent flowers, and good growth rate make this hosta worth including in your collection."